The Nikon D4 is the camera that Nikon is hoping will be the camera of choice for professional sports photographers and photo journalists shooting the Olympic games this summer. Consequently, it is designed as an all-purpose, go anywhere, shoot anything camera with improved low-light shooting capability and enhanced video technology. While the Nikon D4 replaces the D3S in Nikon's DSLR lineup, the 24MP Nikon D3X continues as the company's flagship camera - even if its pixel count is now dwarfed by that of the Nikon D800. While the Nikon D4 has plenty to get excited about, its pixel count is arguably not one of them. However, with 'just' 16.2 million effective pixels on its full-frame (36 x 23.9mm or FX format) CMOS sensor, the Nikon D4 should be capable of producing relatively clean images at high sensitivities. This is just as well, given that it has a maximum native sensitivity setting of ISO 12800 and extension settings up to the equivalent of ISO 204,800. Nikon D3s owners, however, may be a little more excited about the Nikon D4's pixel count, since it represents a big jump from 12.1MP to 16.2MP. Despite the increase in the resolution of the sensor, and thanks to its EXPEED 3 image processing engine, the Nikon D4 is capable of shooting continuously at 10fps with full autofocus function. The D3s can only achieve 9fps at full resolution, or 11fps lower resolution images in DX mode. If you are prepared to lose AF and exposure control, the Nikon D4's full resolution continuous shooting rate can also be pushed up to 11fps. The EXPEED 3 engine also enables 14-bit A/D conversion and 16-bit processing for better colours and smoother tonal gradations. Another key upgrade from the D3s is the move from a 1,005 pixel metering system to a 91,000 pixel system. As before, this is linked to Nikon's Advanced Scene Recognition System to help inform the white balance, flash exposure, face detection and AF system. Although Nikon has stuck with the Multi-CAM3500FX AF system that first emerged in the D3 and was continued into the D3s, it has given it something of a tune-up for the Nikon D4. There are still 51 AF points, but the central 15 cross-type points are sensitive down to f/8. This means that the Nikon D4's AF system will continue to work with long telephoto lens and teleconverter arrangements that have an effective maximum aperture of f/8. This is great news for wildlife photographers, because it enables more affordable and lighter weight optics to be used. It is also something that the Canon EOS-1DX cannot match. 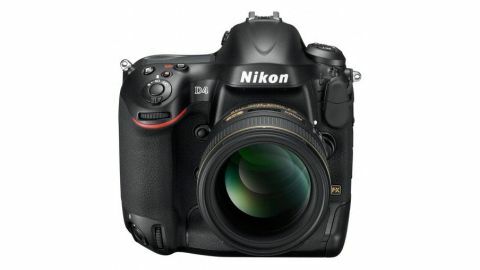 Nikon has given the D4's video system a substantial upgrade compared with the D3s's. Full HD (1080p) movies may be recorded in FX- and DX- formats, as well as in a native Full HD (1920 x 1080) with a 2.7x crop factor. It is also possible to have an uncompressed, full resolution HDMI feed to external devices. When the included new Nikon WT-5 Wi-Fi transmitter is connected to the Nikon D4, the Live View image can be seen on an iPad. The iPad can also be used to control the shooting mode, select the AF point and trigger the shutter. This is something else that is likely to appeal to wildlife photographers who may want to sit remotely from their camera. In summary, the Nikon D4 has just about everything that a jobbing photo journalist and sports photographer could hope for. We're told that Nikon plumped for a 16MP sensor because this strikes a good balance between a high pixel count, for greater cropping or shooting in DX format, and good high sensitivity performance. With a UK price of around £5,290 and US price of $5,999.95, The Nikon D4 costs marginally less than the D3S did when first launched.